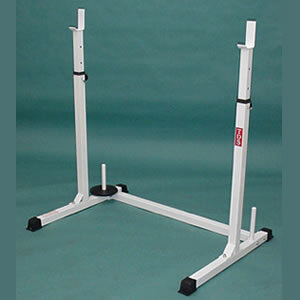 Squat Stands: These are probably the most useless and unsafe pieces of equipment you can buy. All they are really good for is loading a bar up and having it at chest level to perform certain presses, Olympic lifts and squats. 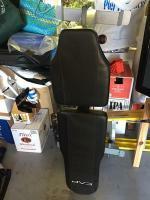 The appeal here is that they are usually a lot cheaper than a cage, but they provide zero safety if you fail on a lift and are really not ideal for home use. I would also include any of those bench press/ squat combo things made by Marcy or Apex in this category. They are cheap and completely unsafe. 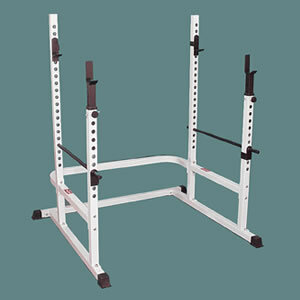 Squat Rack: A squat rack is much safer than squat stands and much sturdier. You see these in gyms a lot. 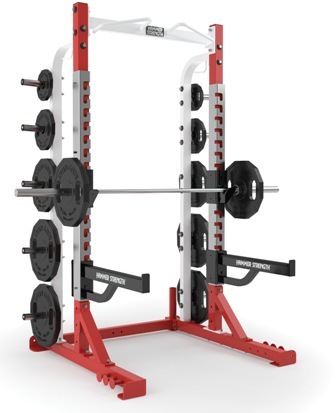 The main problem with squat racks is that they typically do not have adjustable spotter arms and are really only good for doing squats, and even then they may not work well for a shorter person. 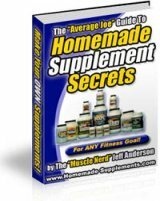 Again, they are not really an ideal choice for home use, as they are really only designed for one exercise. Half rack: Commercial grade half racks show up a lot in gyms. They are heavy and very sturdy and have adjustable spotter arms that can withstand very heavy weight. They also usually have a chin-up bar and plate storage along the back. The main difference from a power cage/ rack is that they do not offer a fully enclosed area. In the chance that you lose your balance and fall back on a squat or overhead press, there is a possibility that you will miss the spotters and hurt yourself. Again, not a great choice for working out alone, but definitely not a terrible choice as you can use them for exercises other than just squats. There are also half racks made for home use but these generally have pretty small spotter arms and are really unsafe to use for squats. I have also seen these called multi-press racks. 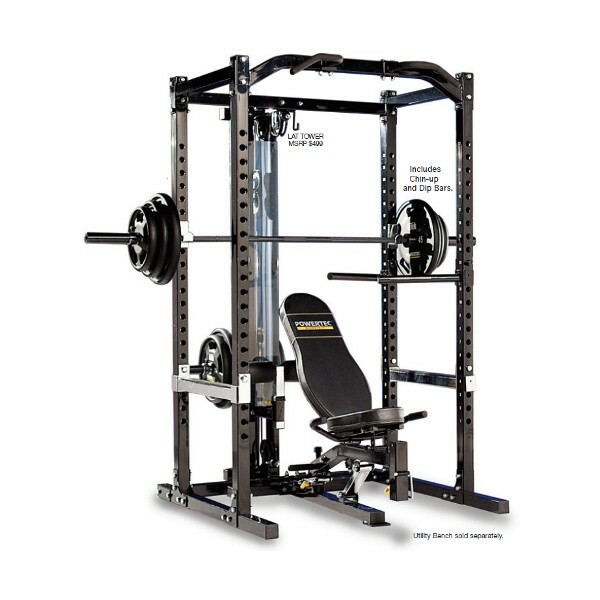 Power rack/ power cage: This is the obvious and best choice for working out at home. A power cage should be the center piece of any good gym. They are fully enclosed and offer the most safety for exercises like squats and bench press. I cannot tell you how many times my spotter bars have saved me on a failed set. A good rack should be able to handle close to 1000 lbs on the spotters. There are several different variations of power racks and you can pay anywhere from $300 to upwards of several thousand dollars. 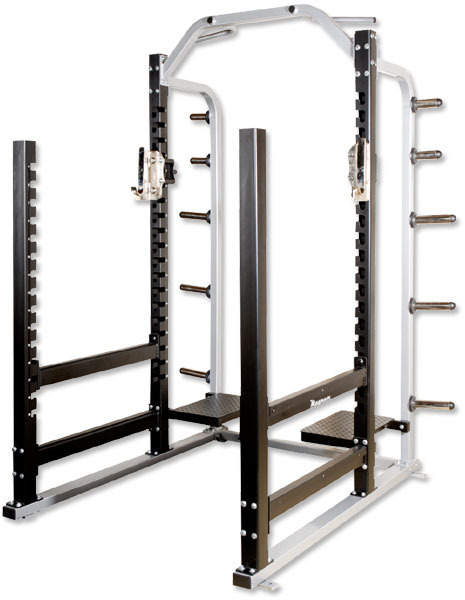 Racks have many different options and can often be customized with plate holders, different chin up bars, lat pull downs, and many other attachments. 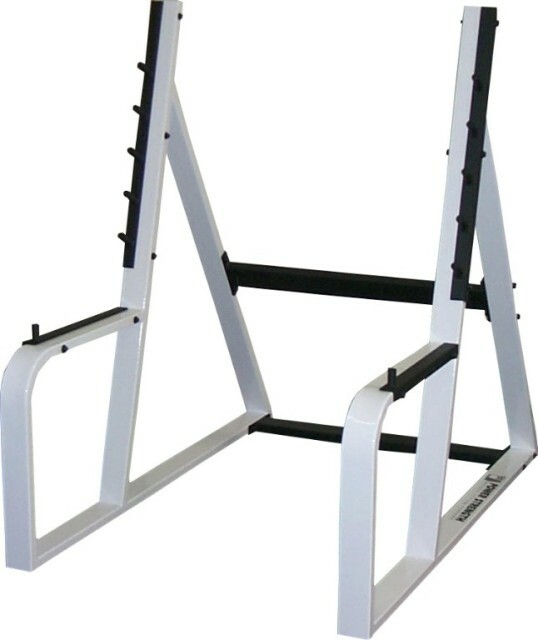 All power racks should come with a chin up bar and at least the option to buy dip handles. They can also be open on the top to allow for overhead movements. The distance between holes will impact your reach and level of comfort when performing various exercises in a power rack. An inch or so may not make a big difference when setting up for your squat, but it could make a huge difference on your bench. Hole spacing seems to vary, but most good racks have 2 inch spacing (measured from the center of the holes). 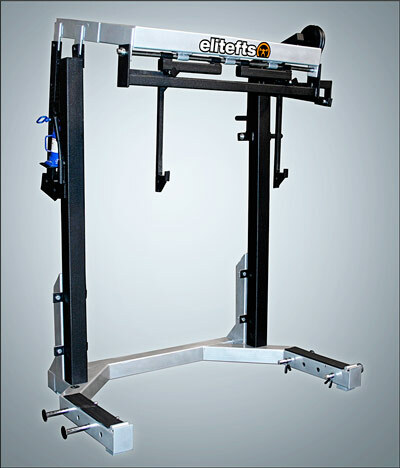 Elite FTS offers 1.5 inch and even 1 inch spacing on some of their racks through the bench area, which makes it easier to get full ROM when benching. 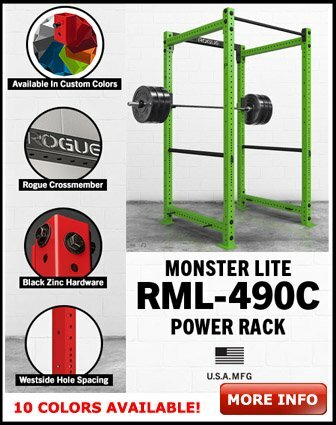 Below is a link to a pdf file listing the specifications of 31 different power racks. You can compare weight capacities, weight of unit, height, width, length, frame size (2x2, 2x3 etc), hole spacing, type of pull up bar, dip bar included or not, cost and shipping costs and links to websites with the best prices.